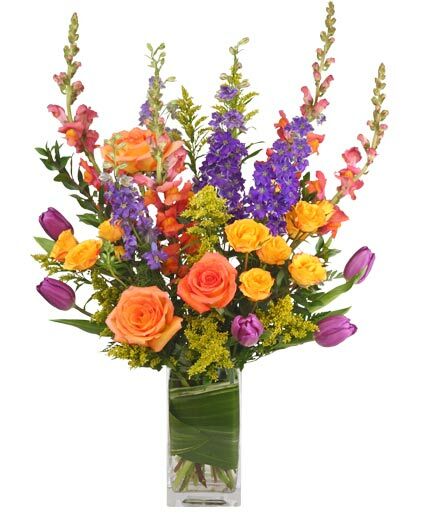 The shop is blooming with many wild flowers, and this bouquet will definitely show them off! 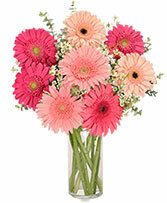 Order today to send to someone who loves the prairie flower look! If you don't see something you like, just give us a call and tell us how much you want to spend, and we'll take care of the rest! 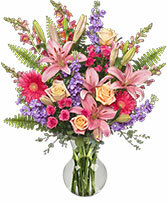 We also carry many beautiful lush green house plants and blooming plants. Order 24/7 on the internet, give us a call, or stop in today - we'd love to see you! These are spray roses, not regular sized roses, but very cute! You pick the color! Please list first and second choice colors. 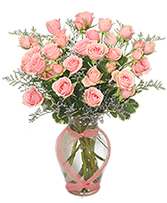 The lowest price shown is for 3 spray roses in a vase, the mid price is for 6 spray roses as shown, and the highest price is for a dozen spray roses in a vase.